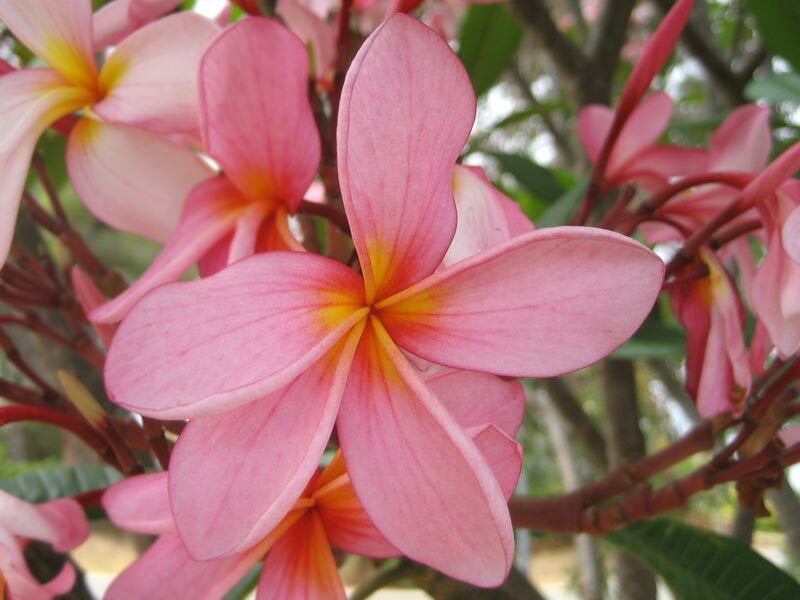 Plumeria rubra or the Red Frangipani is a popular, large, deciduous shrub or small tree with rounded canopy of leaves that are long, oval, pointed at the tip with a veined appearance. 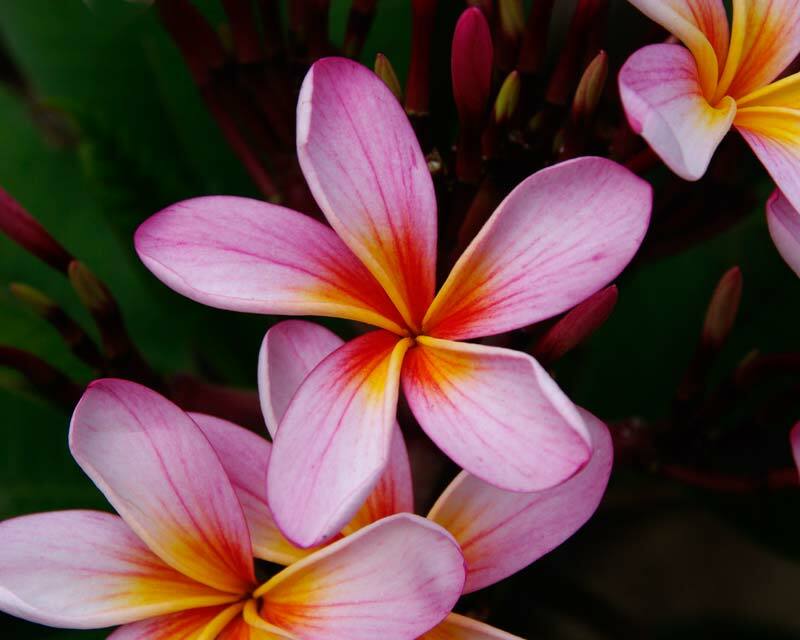 The splendid five-petalled flowers are richly fragrant and pale-pink to crimson in colour, with a matte lustre to them. 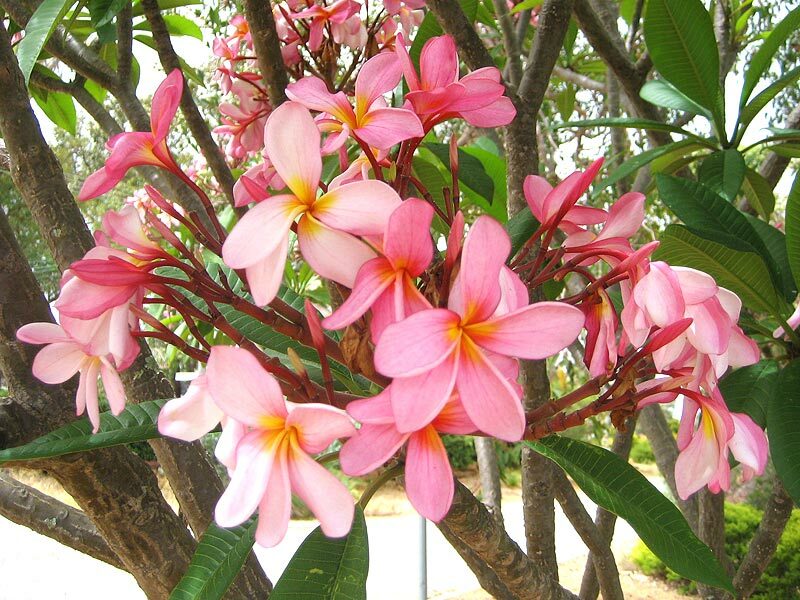 The branches are plump, weak and fleshy, containing a poisonous, milky sap. 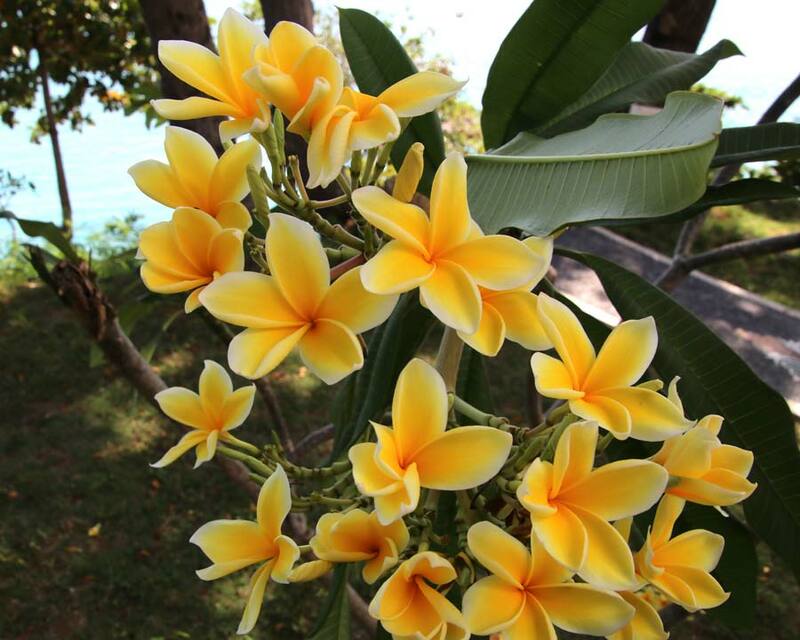 It makes a very colourful, tropical statement in any warm garden and are easy to cultivate. Soil: Reasonably fertile, well drained soils - doesn't mind it light and sandy. 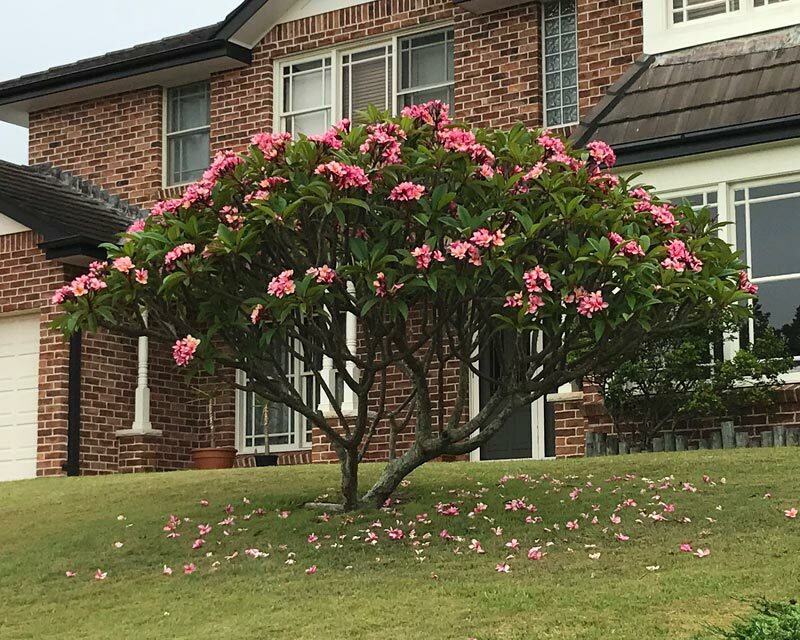 Maintenance: It looks after itself very well - no need to fertilise and don't over water. 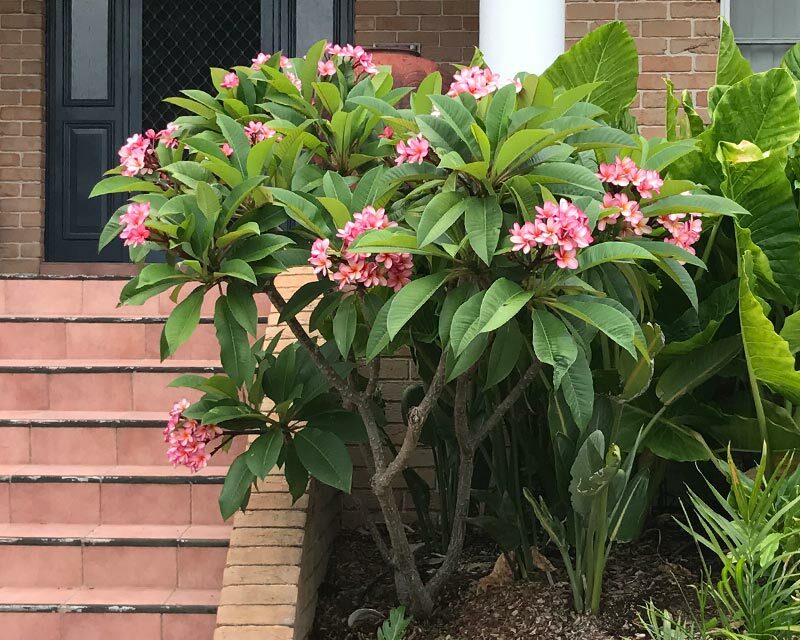 To propagate take a cutting in spring, let it dry out for a week or two then plant in a good potting mix, it will take root quite easily providing the mix is kept moist but not overly wet. Diseases: Root rot with too much water. 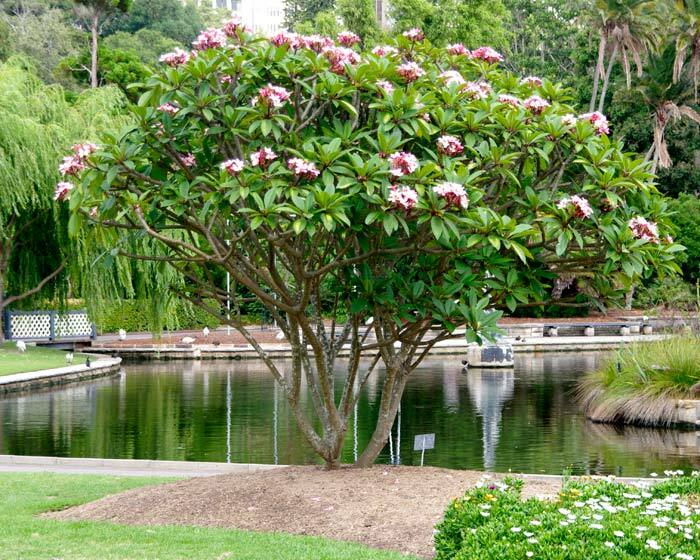 Other Species: 8 species including Plumaeria obtusa, with white flowers and will be evergreen in tropical climates. A popular cultivar of Plumeria rubra has been created called 'Tri-Colour' which has yellow, orange and red banded flowers, creating a very exotic look. 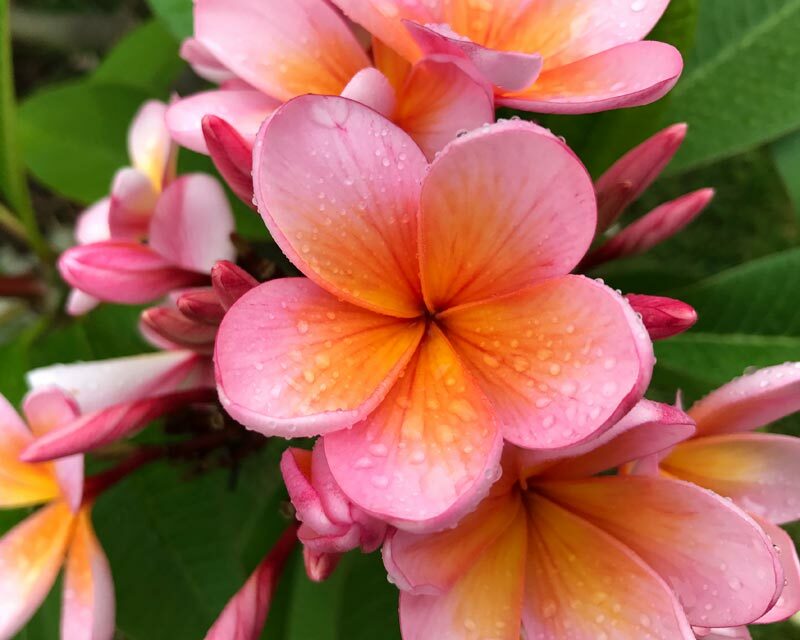 Another stunning cultivar is Plumeria rubra 'Paul Weissich' - this vigorous plant was named in honor of the director of Foster Botanic Garden. 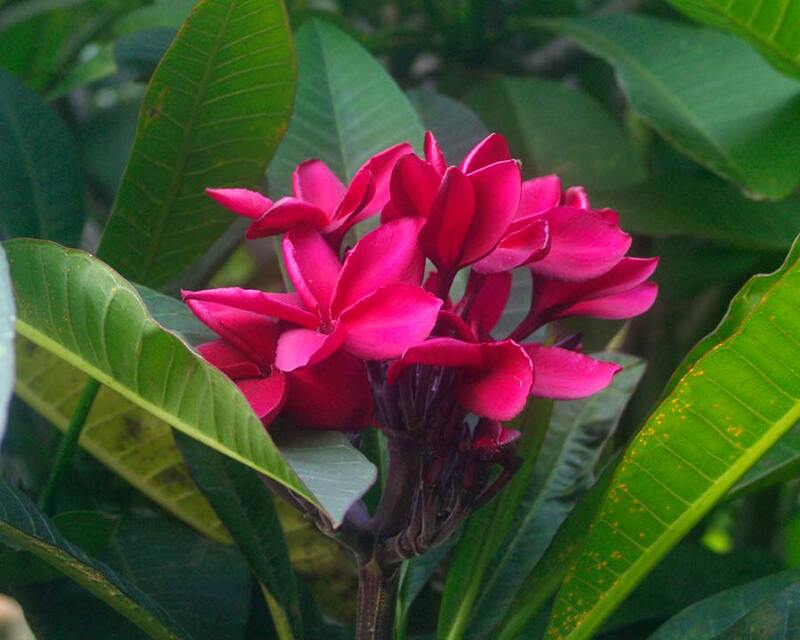 Plumeria rubra 'Paul Weissich' named in honor of the director of Foster Botanic Garden.